"South Carolina's Official First Lady of Song"
The name Loretta Holloway has become synonymous with warm elegance and sophisticated charm. From the moment she enters the stage, you know that Loretta Holloway means business. Critics around the world have described her as "mesmerizing and captivating." Bill Willard of "Variety Magazine" writes "Holloway is a spellbinder. A singing actress," Jerry Fink, of the Las Vegas Sun, says she is "a consummate performer." 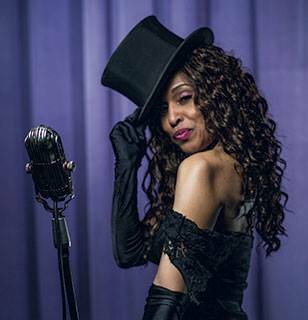 Michael Paskevich, also of the Las Vegas Review Journal, dubbed Holloway "quintessential cabaret chanteuse," and the Chicago Sun Times voted her "Best Jazz Singer City in Chicago." Holloway, officially proclaimed in 2011 as "South Carolina's First Lady of Song, " has been a familiar face in the showrooms of Las Vegas and Atlantic City, where she opened for headliners Bill Cosby, Jay Leno, Whoopi Goldberg, Don Rickles, Rich Little, Gary Shandling and Jerry Lewis. Loretta made two national appearances on the Jerry Lewis MDA Telethon. Her travels abroad have taken Holloway to Australia where she was presented to Queen Elizabeth and Prince Philip in a Royal Command Performance and her recent tours in 2010 to Shanghai, China and 2011 in Bangkok, Thailand. Other travels to Egypt, Japan and Russia. Boxing fans have seen Loretta in major arenas singing the National Anthem for champions Larry Holmes, Mike Tyson and Oscar De La Hoya. Holloway is no stranger to the theatrical stage, having starred in the New York off-Broadway production of "Mama I Want to Sing II," Loretta's movie credits include, Pure Country, with George Strait, and Elvis and Me. She also sang the sound track for the United Artist movie release of "Black Jack." Watch for Holloway's cameo appearance in the upcoming movie "Clipped Wing's, They Do Fly" written and produced by William Michael Barbee. The movie deals with understanding and dispelling the stigmas of multiple personalities and schizophrenia. 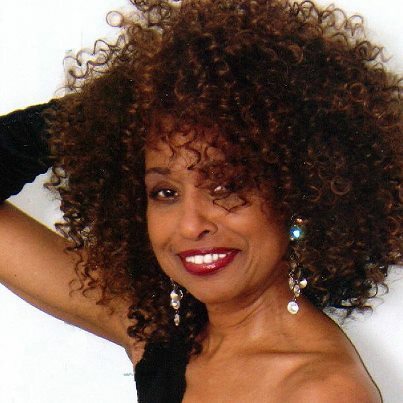 Holloway was voted "Jazz Artist of the Year" for 2015 by the South Carolina Music Awards and other honors include Holloway as "One of "25 Notable African Americans from South Carolina, 2013," and the Anderson County Council proclaimed Holloway in 2011 "As an Anderson County Treasure." She was "Honored in 2007 as one of "South Carolina's Women of Substance." Mayor Sharpe James presented her with the Keys to the City of Newark, New Jersey. Holloway lends her talents to various charitable organizations, including the Ronald McDonald House Charities of the Upstate, South Carolina's Hospice of the Upstate, Compass of the Carolinas, World AIDs Day, and Las Vegas AIDs awareness programs, AFAN and Golden Rainbow.